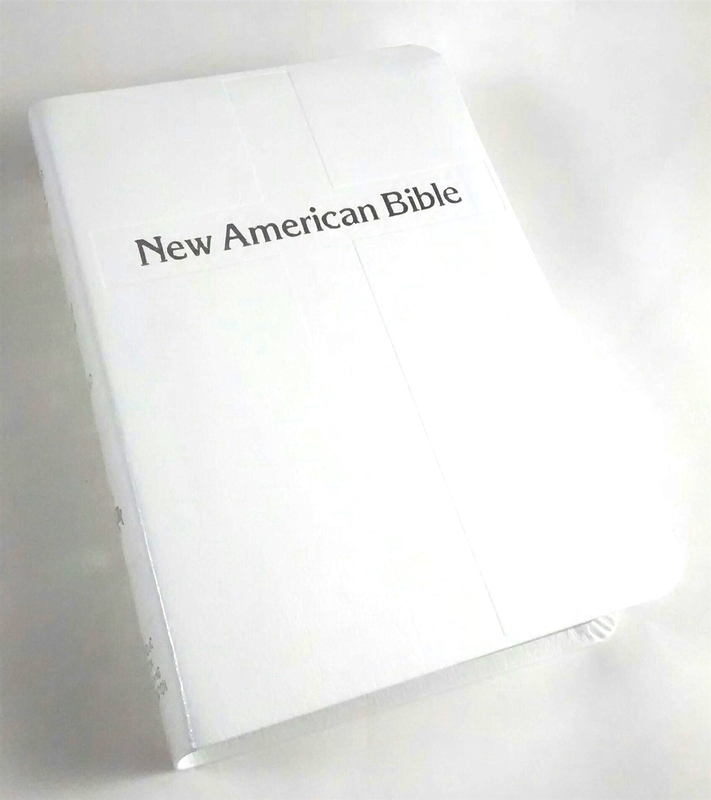 The Personal-Size Gift Edition of the St. Joseph New American (Catholic) Bible from Catholic Book Publishing includes the complete Old and New Testaments in compact easy-to-read. type. 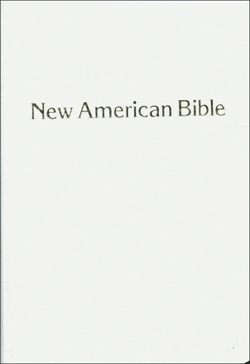 Many helpful aids for easy Bible reading include a valuable Bible Dictionary, self-explanatory maps, a doctrinal Bible Index, complete footnotes and cross-references, and 32 full-color illustrations. Also contains 4-page presentation pages and an 8-page Family Record. The Personal-Size Gift Edition of the St. Joseph New American (Catholic) Bible from Catholic Book Publishing will make a cherished gift. 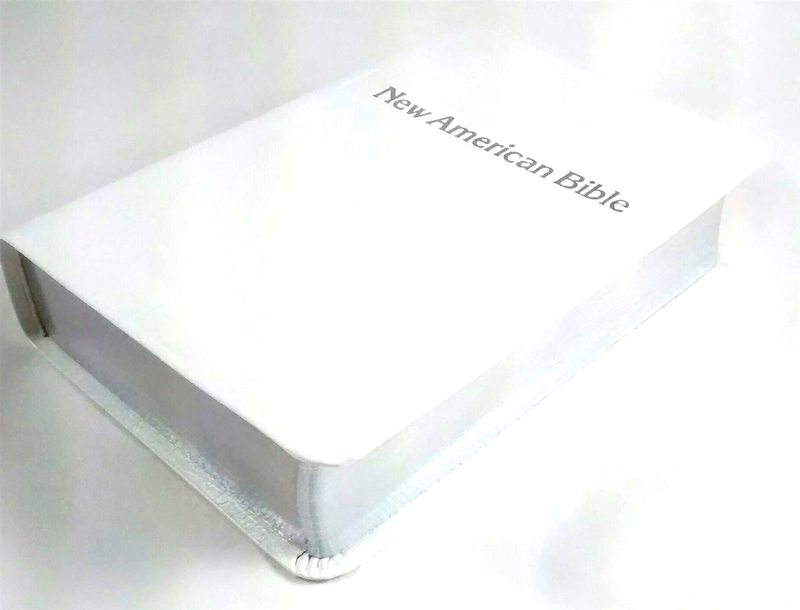 Convenient, compact size (4-1/2" x 6-1/2"), sewn binding, flexible gold-stamped bonded leather, white, gift-boxed.